Established in 2007, Target Photography immediately observed that there was a major need for action photography in the Northern Alberta area. We adopted the policy "If it moves we'll shoot it" and never looked back. We have had the opportunity to shoot hundreds of WHL & AJHL games since 2007 including such events as the CHL Top Prospects game, World Junior A Challenge, RBC Cup, Keystone Cup, the World Junior Championship, as well as 3 consecutive WHL playoff runs up to & including the championship round. We have also had a major focus on minor sports such as minor hockey, lacrosse, and baseball. 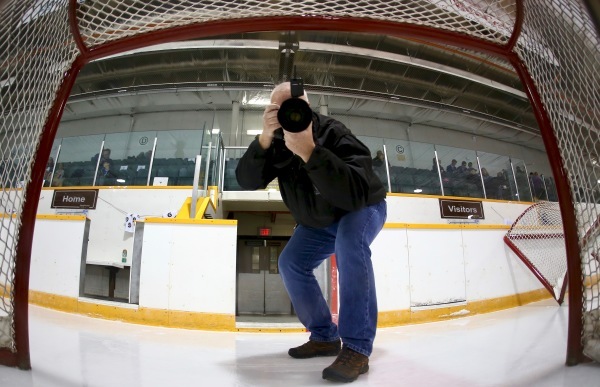 Every year we are in the rinks at least 6 nights a week and shoot more minor hockey at every level than anyone else in the Edmonton area. Holding to our policy of "If it moves we'll shoot it" we also shoot corporate golf events, community parades & events which includes a photo booth for parties & celebrations all over Northern Alberta.